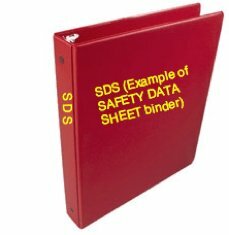 A SAFETY DATA SHEET (SDS) is valid until there are significant changes to the product. These are just a few examples / We suggest you look at a couple, there may be a quiz. One of the quickest ways to find an appropriate SDS is via the internet. The SDS's that we link to above, may no longer be valid however they do have the major sections shown. We show them as examples.